The diagnosis and treatment of coccygodynia is an issue which has been discussed on for years. This could lead to pain which will decrease the life quality of the patient affected. If the patients who experience pain are not sufficiently informed, they seek for treatment to their disease by frequently changing the physicians. This situation which is called “coccygodynia” in medical terms may be caused by a series of diseases. Patients who suffer from coccygodynia first apply orthopedic clinics as they consider this as a bone pain. It is known that coccygodynia occurs frequently as a result of various reasons such as trauma that occurs as a result of falling by sitting that occurred in the past, breaking of coccyx bone during birth, local tumors, herniated disk and idiopathic reasons. 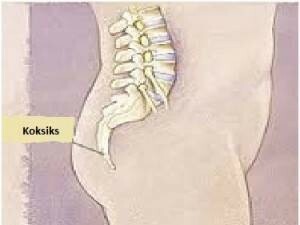 In particular in weak women, since the fat tissue under the skin is less, the coccyx bone could contact the ground very hardly as a result of falling by sitting, causing an easy fracture. Coccygodynia complain could arise more frequently among those who have excessively curved coccyx. Patients are those who work by standing or sitting for long periods of time. The pain could be triggered by sitting for long on a hard chair. It was determined that this was seen more in persons with depression and anxiety. 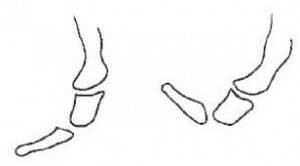 In order to diagnose the existing pain as a coccygodynia, it should have continued for more than 2 months. When the patient applies to the orthopedics polyclinic suffering from coccygodynia, reasons other than coccygodynia which may lead to pain should first be researched. In particular, pains which arise from internal organs that are close to the coccyx bone inside the pelvis; namely women reproductory organs, intestine system and urinary track system diseases, tumors and infections could lead to pain in coccyx. For that reason, a detail MR of the waist and pelvis bone should be taken after bone X-ray in patients who have chronical coccyx pain. For problems other than orthopedic ones that could be seen on MR, consultation should be sought from gynecologist, general surgery, gastroenterology and urology. 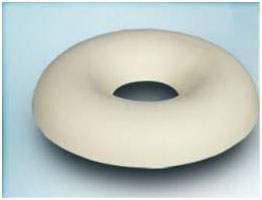 For the treatment of Coccygodynia : After the factors other than orthopedic pathologies are eliminated, the patients are given soft sitting bagel(cushion) – sitting baths and anti-inflammatory drugs for a period of 6-8 weeks. Local injection method (Impart Ganglion Block) is applied in coccygodynia cases which could not be treated with drugs and resting. What is İMPAR GANGLİON BLOCK? Impart ganglion is a nerve complex located in front of the coccyx bone. 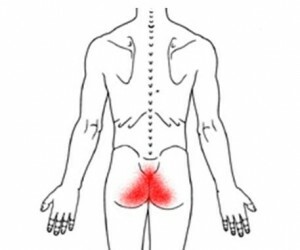 This nerve complex could become painful in those who had previous coccyx trauma. Drug injection containing local anesthesia and steroid is applied with special methods to this nerve block. This method is used for both diagnosis and treatment purposes. 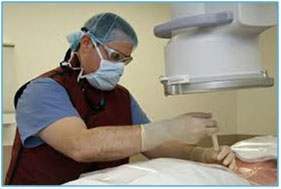 General anesthesia or sedation is applied to the nerve block under operating room conditions. The needle is passed through the sacrococcygeal joint through scope device and contrast substance is administered and the site is determined, after which steroid + local anaesthetic mixture is injected to this site. This process lasts for around 7- 8 minutes. The patient is discharged 2-4 hours after the treatment on the same day. Does this process has any risk? Since process is performed with general anesthesia or under sedation, there is a low risk of complication due to anesthesia. This should not be applied in patients who are known to have allergy to contrast substance, and who use anticoagulant drugs. Side effects due to the use of steroids: It could be applied after pre-protection since this could increase complains in persons with stomach ulcer. Attention should be paid to the increase of blood sugar in diabetes patients, and increase of blood pressure for blood pressure patients. Despite the fact that this is a pain-free process in general, coccyx pain could arise in some patients which could last a couple of days following the injection. Pain killers taken from mouth are not sufficient for these pains. We routinely recommend 3 days of rest for our patients; thus it is possible to minimize the risk of occurrence of pain due to injection. If the pain could not be fully cured as a result of this process or if the pain which was decreased after injection increases, it could be necessary to repeated the same process 3 times in total. If the pain of the patient is not cured despite trying all conservative methods, surgical treatment is applied. Surgical intervention could be required in only 20% of the patients with stubborn coccygodynia. In this method, the end of the coccyx bone of the patient is removed with surgery. However, due to the facts that the risk of infection is high following the operations on this site and there is no guarantee that the pain could be cured 100%, this method should be the last preferred method. 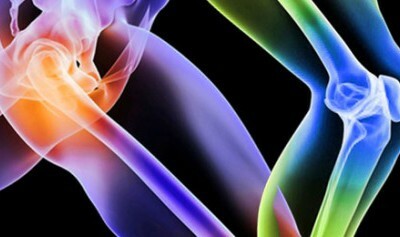 Does every meniscal tear require surgery?